In terms of glamour and style, there are few sporting events that can beat the horse races at Ascot. Horse racing is an iconic sport in the UK, attracting the world’s wealthiest racing aficionados. 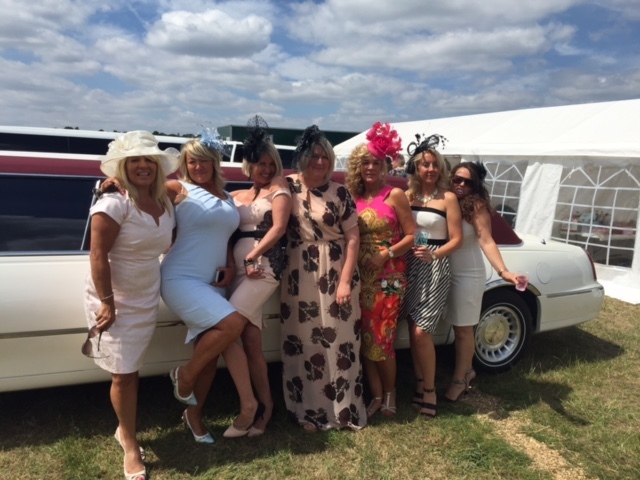 Mingle with the great and the good as they cheer on some of the most majestic horses in the world, and enjoy your day, knowing that your own luxury vehicle is waiting for you throughout the entire race day. Attending a race at the Royal Ascot, is an experience. Designer outfits abound and what better way to arrive than to pull up in a stylish limousine. If you want to be extra special, arrive in a unique limousine. Our signature Lincoln, with a beautiful deep-red roof, is a true gem. In fact, there are only two in the UK and Kent Atlantic Limousines is proud to offer it to you for hire. Race days at Ascot are busy and hectic. Our chauffeurs are true professionals and know their way around the racecourse grounds. Never be late for a race and enjoy a smooth ride as you make your way to the track. For our passenger’s safety, each driver has undergone an enhanced Criminal Records Bureau check. You will find comfortable seats, a spacious interior, and unique features inside each of our limousines. Have fun with your group as you travel. Open a bottle of bubbly and begin the party before you even arrive at the racecourse. Our limousines can seat eight people while our Ford Excursion 4×4 can seat fourteen people comfortably.